Metal Gear Solid 3 is significant for many reasons and there are fans that consider it to be the best in the series. Jam and Fred get together to talk about this third iteration that spawned the Big Boss storyline, which appears to be concluded in the just released MGS V.
Metal Gear Solid 3: Which Version Should You Play? First off the original vanilla PS2 version. I really didn’t care for this game that much back in the day and I deliberately left it until last as I thought playing the four other versions would make playing this easier, nope. The original version of the game runs off a similar engine to Metal Gear Solid 2 which means your camera is super restricted. You can use the left stick to slightly pan the camera, but its pretty useless. You’ll spend most of the time playing this game in a stop start pattern. What I mean by that is if your going full stealth you’ll move forward slightly then stop, go into first person view and check the surroundings and then repeat this process every five steps. Some may argue this makes the game more difficult and stealth but in my opinion this is not fun. Every additional version of this game fixed this problem by allowing you full control of the camera so you can rotate it around and see enemies so much easier. It makes the game just that much more playable and fun with this addition alone. For that reason I say avoid the original PS2 version unless you’re a die hard fan of the game and want to see it’s roots. No, don’t be confused this is not Metal Gear Solid on the Playstation or the reboot (Twin Snakes) on the GameCube. It’s also not that Metal Gear game on the NES that everyone played in American and absolutely no one played over here in Europe (quick commentary at the end if interested). Nope, this review is for the very first Metal Gear game released for the MSX microcomputer way before the Solid days and back when Kojima and Konami were better friends. This is a game no one had played in America (until the re-release) and was slightly more popular in Europe. This game along with the MSX sequel titled Metal Gear: Solid Snake (not to be confused with the NES sequel Snake’s Revenge, which is not cannon nor Kojima developed) are both available on the Metal Gear Solid HD Collection on Xbox 360, PS3 and PS Vita. They are also available to play on Metal Gear Solid 3: Subsistence on PS2. For this review I will be covering the PS Vita version but after spending some time with the 360 and PS2 versions, they’re all pretty similar with very minor differences. 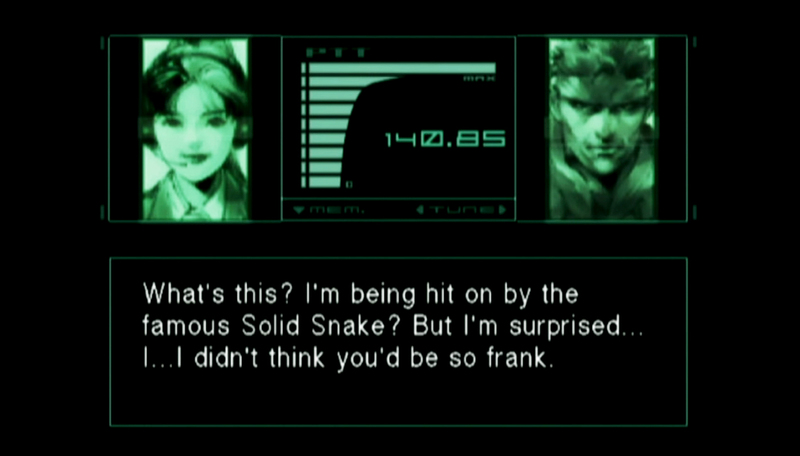 Metal Gear puts you in the shoes of a rookie soldier with the code name Solid Snake. Your job is to infiltrate a place called “Outer Heaven,” rescue the hostages, and destroy a new weapon that can launch nuclear missiles called Metal Gear. It’s very likely you’ll be going back to play this game after one of the other titles in the Solid series. So, you probably have some familiarity with the plot and most likely know about the twist at the end. Everything is presented in text and unlike any other game in the series the story sections of the game are short and sweet. Even though I knew exactly where the story was heading it was still interesting to see how it reached that moment. Metal Gear Solid 2: Sons of Liberty is the entry into the series that a lot of gamers shudder when they look back on. In this article I’m going to discuss the negative reaction gamers have to this entry in the series and then cover why this game really is surprisingly great today even when held up against other entries in the series. Just to warn anyone that wants to play the game and hasn’t this article will contain mild spoilers to the plot and direction of the game. Even for the time this game was critically praised by almost every major gaming magazine but there was a few things that just didn’t sit well with gamers. Lets get the infamous one out the way and that is the character of Raiden. Yes, we all bought that glorified mech demo, Zone of the Enders just to be able play a demo of Metal Gear Solid 2 and replay as our gaming hero Solid Snake. We sunk £40 into this game in Europe ($60 in the US) and yet people lose there minds when Konami releases Metal Gear Solid 5: Ground Zeroes for £20 ($30 in US) despite you paying for a game that you want to play, but I digress. When you finally got your mitts on the full retail game of Metal Gear Solid 2 – after spending another £40 ($60 in US) mind you, it’s okay Konami you just take my money – your grinning from ear to ear as you play through the game as Solid Snake, but that lasts for what seems like five minutes and then the game forces you to play the remaining ninety percent of the game as this feminine Raiden (insert Mortal Kombat intro music here) character. Raiden wasn’t cool, he was dorky, and lacked that testosterone rugidness we were used to from our main man Snake. Also he didn’t have any special abilities that featured lightening. So people were not too impressed by this, sure Snake was lingering in the background but it just wasn’t as cool as playing as the guy. It was the moment in Metal Gear history where fans thought Kojima had truly lost his mind. In honour of Metal Gear Solid season I wanted to kick off what I hope will be a new season of articles telling you by force to play certain games. Boy, do we have a good one to start with. Metal Gear Solid on the Playstation is most peoples first entry into the Metal Gear Solid series. However, if by some bizarre fluke this game has completely passed you by then here are some reasons why you need to drop what you are doing right now and go play this game. If you have already played the game then maybe this article will give you incentive to go revisit it again. Before we begin this list may contain mild spoilers so if you haven’t already played the game and want to you may want to come back to this later. Also the opinions in this article do not represent the opinions of other writers for Gaming History 101. With that out of the way, let’s get on with it! There were so many excellent games that came out on the original Playstation that certain paramount titles could pass you by. 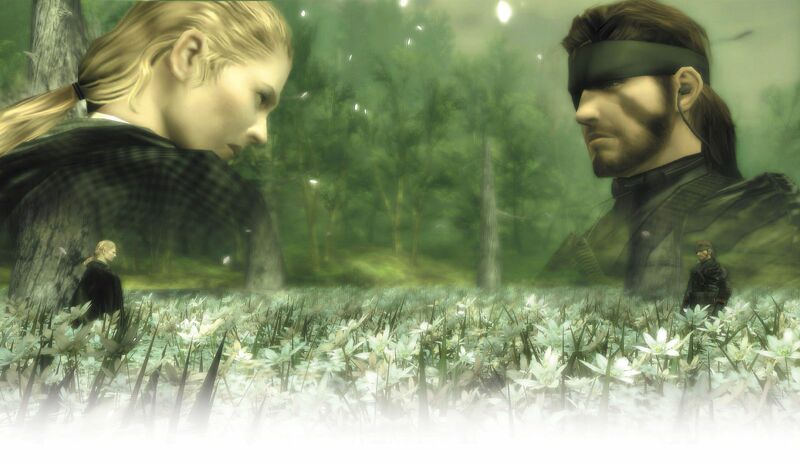 The reasoning is actually two-fold because you may not have missed them – I was acutely aware of the presence of Metal Gear Solid when it released and even played a little of it – but it was back in a time where if a game didn’t click with you, typically you would shrug it off and move on to the myriad of other titles out there. That was my experience when I first played Metal Gear Solid. I remember having a heck of a time sneaking to the elevator in the beginning, even harder time getting into the vents outside Shadow Moses, and by the time I find the D.A.R.P.A. Chief only to discover most people got there in 20 minutes I was so frustrated I just quit. It would appear I not only passed on one of the best games on one of the best consoles of all time, but that I was abandoning a series that stands quite high in my top game franchises of all time. That’s the thing, though, when you look back on Metal Gear Solid. It broke so much ground and basically invented the stealth mechanic (after two earlier attempts I might add) that it’s easy to appreciate it but there are a heck of a lot of caveats if you’re going to revisit it today or play it for the first time. It has much more historical value than replay value, although I did have a smile on my face most of the time. 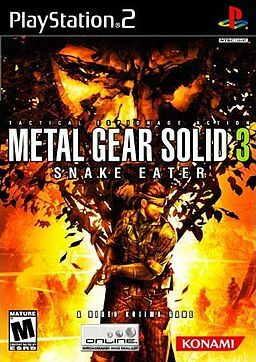 Want to play Metal Gear Solid 3 or see what it has to offer for the game club but just don’t have the time, money, or patience? Here’s your solution. We are capturing our entire playthrough of the game without commentary (and with the deaths edited out if it’s too frequent) for your viewing pleasure. As videos post live this post will grow into a playlist. In a move that is sure to make collectors scream out, I found a sealed copy of Metal Gear Solid 4 Limited Edition dirt cheap and instead of keeping it on a shelf I actually opened it!